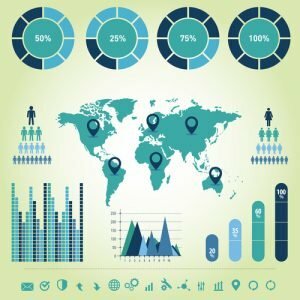 Could You Benefit from Presenting a Pitch Deck in Interviews? A dozen years or so ago, a popular trend in the job-search world was the idea of a career portfolio – a physical, tangible set of artifacts, often in a binder, showing skills, experience, strengths, and more. The job-seeker, armed with the portfolio, would look for opportunities to present parts of it in interviews. Portfolios aren’t talked about as much these days, but that doesn’t mean that visual representations of your employability aren’t still a good idea. But just like the fat books of software documentation that have shrunk down to a single card, portfolios have become more streamlined – as pitch decks. After all, even the most compelling career portfolios have likely been allotted only a small amount of time in interviews; a visual that can be covered much more quickly makes greater sense. Employers also understand the pitch-deck concept more than they do portfolios, and some employers even request that candidates conduct interviews in presentation style or bring a pitch deck with them. What are the basics of pitch decks for careerists? • A pitch deck has 10-20 slides. • It should be very visual and contain very little text; you will provide the narration. • It should provide a platform for storytelling. • It’s the perfect medium for showing measurable performance – graphs, charts, and tables showing sales, profits, growth, successes in cost-cutting, and more. • It should be customized for each interview and showcase research you’ve done on the prospective employer. Consider even using some of the organization’s branding – colors and fonts – which has the psychological effect of making it seem as though you already work there. What slides should you include? In the world of pitching venture capitalists with startup ideas, slides describing the Problem/Opportunity and the Value Proposition/Solution are a given. With strong research and tailoring, you can create a pitch deck that targets the specific problem the employer would be trying to solve in hiring you and an overview how you would solve it (you don’t want to give too much away). The “Underlying Magic slide,” recommended by gurus such as Guy Kawasaki, describes why you are a better bet than the competition to solve the employer’s problem. It’s your “secret sauce,” your differentiator, your competitive edge. If your work is project-driven, you can then include 2-3 slides with project highlights. The slides should show what the project looked like, what it accomplished, and how much it moved the metrics. If collaboration will be an important part of your next job, be sure to show how you worked cross-departmentally or across branches of the company. A pitch deck for investors always includes a slide showing the startup team; if relevant to the next job, you can include a slide showing who and how many report to you, as well as the overall team structure. You can also include a slide that includes your job target – the job you are interviewing for. This slide is obviously very specifically tailored and shows how you are a fit for that organization. Testimonials can be part of your pitch deck, especially if they are concise and punchy. The ideal tool for presenting your deck is a tablet, but a slim laptop will work, as will printing your deck. Tell your stories and show the illustrative slides in your deck using the formula Problem (or Challenge or Situation) –> Action –> Results. Don’t forget about the option of using your pitch deck as an online artifact. You may need to create a version with more text to explain the images. You can then convert to PDF and make it available on your own website or LinkedIn profile. Or add a voiceover and make a video of it. Non-verbal communication strategies can help improve your interaction with the interviewer. Interviewers typically trust the non-verbal messages they’re receiving as well as the verbal messages. If there’s a discrepancy in the verbal and non-verbal, it creates a feeling of uneasiness. Therefore, it’s important to be aware of your body language, posture, eye contact, facial expressions, nervous habits, voice pitch, tone and speed. Body Language: Your body language speaks volumes about you. How you walk into the interview, how you shake hands, how you do or don’t make eye contact, how you sit, how you gesture, the manner in which you converse, the attitude you exude. It all creates an image of who you are. Candidates who are authentically engaged and present in the interview process involve their body and mind in the conversation. Posture: An upright posture communicates openness and strength of character. You need to sit tall with your head up, shoulders square and feet flat on the floor. This not only conveys confidence that you can do the job, but also improves your own sense of self-confidence. You will also want to keep your hands visible as this conveys honesty and openness. Avoid folding or crossing your arms in front of you as this conveys defensiveness. Eye Contact: Shifty eyes and an inability to maintain eye contact is seen as an indicator that you are lying or being deceptive. When interviewing, maintain eye contact with the interviewer as this communicates that you’re telling the truth and conveys a sense of openness. If you’re interviewing with non-American recruiters, be sure to research the meaning of eye contact for that that particular culture. Facial expressions: There are 43 muscles in the face which will convey your inner thoughts and emotions and will be unconsciously read and interpreted by the interviewer. Be sure to smile occasionally as a smile conveys warmth and suggests that you would be someone amiable to have on the team. Some interviewers will try to test your stress level with weakness and negative-based questions and some will test your reasoning power with brainteaser questions and assessments. During this phase of the interview, refrain from frowns or angry, confusing, or astonished expressions. Stay calm and take your time in developing your response. Voice: A large part of the impression you make in an interview is not what you say, but how you say it. Try to speak in your normal voice pitch and tone and modulate your vocal tone to punctuate key points. Often when candidates are experiencing the stress of an interview their pitch will raise, their tone will be tense, and their speed of their speech will be rapid. Try to match the speed of your communication with the speed of the interviewer to convey you are on the same wavelength. These non-verbal expressions communicate a lack of confidence and competence. Nervous habits: Avoid nervous habits such as bouncing your leg, shuffling your feet, tapping on the table, twirling or rearranging you hair, clicking you pen, fiddling with objects in your lap, laughing at inappropriate times, or whatever you do when you’re nervous. Before your interview, be sure to practice thoughts of gratitude which will increase your positive vibrations and heighten your self-esteem. While driving to the interview, consider listening to some relaxing music or a motivational speaker. If you’re accustomed to meditating, consider spending a few minutes meditating to help calm the nerves. While your main objective is to focus on and engage in the interview, it is important to be aware of any negative non-verbal communication signals you may be emitting. Although the number of job postings coming out of Silicon Valley has trended downward since 2015, this tech mecca is still seen as a desirable place to work. Despite the rarefied reputation of this locale, techniques for landing a job in Silicon Valley vary little from those for gaining an executive job in any other field or region. Networking still works. LinkedIn is big in Silicon Valley. There are more than a thousand LinkedIn groups that you can join. San Francisco Bay Area/Silicon Valley Jobs and Careers has nearly 10,000 members; Silicon Valley Product Management has 3,500+ members; Bay Area Artificial Intelligence-Silicon Valley has 3,900+ members; Silicon Valley Sales Professionals has 1,100 members. Job-seeker manifestation: Update your LinkedIn profile. Join groups that will expose you to folks who can refer you to openings. Don’t be afraid to conduct informational interviews. Resumes are condensed. Guy Kawasaki, a Silicon Valley venture capitalist strongly recommends a one-page resume with just three sections – contact information, work experience, and educational background. Paul Tyma, an entrepreneur and computer engineer suggests adding a section called, “Cool Stuff I Have Built.” Silicon Valley recruiters expect you to prove your worth by having worked on outside projects so an online portfolio can be very beneficial and support your candidacy. The unique culture does not take exception to job hoppers. Job-seeker manifestation: Create a one-page resume that pares you down to your critical essence and also conveys your admiration for a targeted employer. One way to do so is to identify the employer’s mission statement and explain how it resonates with you. “Plug and Play” is the watchword. Companies want tech gurus who can hit the ground running. They’re not interested in training employees. Job-seeker manifestation: You will likely be asked to show you are “plug and play” via technical problem-solving and algorithmic questions posed at the interview. You will also probably be asked to describe a recent project. Hacking culture prevails: Silicon Valley employers seek those who not only adapt well to change but produce change and continuous improvement. Job-seeker manifestation: Bring to the interview a short list of ways the employing company can improve. Take notes during the interview. Some experts use the term “Silicon Valley” not so much to identify a geographic region but as shorthand for “the tech industry,” and it’s worthwhile to note that tech jobs in other parts of the United States (Seattle, for example) are actually on a faster trajectory than those in Silicon Valley. Mature executives may face obstacles in a Silicon Valley job search. A 2017 study from Visier Insights, The Truth About Ageism in the Tech Industry, found systemic ageism in tech hiring practices. While younger workers can increase their chances of hire in Silicon Valley by pursuing a grad degree in the area or taking coding classes, older workers may be disinclined to do so. Executives who aspire to make their mark in Silicon Valley need not fear a job-search process cloaked in mystique. With the exception of minor nuances listed here, a Silicon Valley job search aligns with a typical search. Especially for executives, job search while employed is tricky. First, at the executive level, “passive” candidates, those NOT looking for a job, are far more valued than “active” candidates. And unfair as it is, the thinking goes that if you are looking for a job, something must be wrong with you. It’s not as though you can hide the fact with prospective employers that you are in an active job search – but you don’t need to over-emphasize this fact either. It’s a huge plus that you are employed. Unemployed active candidates especially face bias. The second tricky issue is that job-seeking executives risk discovery by their current employers. Thus a “stealth” job search is in order. Clearly, careful planning is needed. Here’s where the efficiency of a targeted job search can be especially advantageous. Ask yourself if it’s the organization or your immediate situation that you want to leave. Maybe the company is OK, but you don’t get along with your boss or don’t feel comfortable in your position. Is there an advantageous move you could make within your existing organization instead of totally uprooting yourself? Always be “job-search ready.” Even before you have a need to seek a new job, be sure your resume and social-media profiles (especially LinkedIn) are up to date. In fact, as soon as you start a job, update these artifacts. That way, you won’t have to conduct a wholesale update that might get the attention of your colleagues and put the idea in their heads that you are job-searching. Request discretion from prospective employers and your network contacts. Include in your cover letter a line about keeping your search discreet because your current employer is unaware of your plans. Similarly ask your network contacts to keep your search on the down-low. If you are working with recruiters, be clear that you are conducting a confidential search. Focus on networking. Submitting resumes to job boards is not especially effective anyway, and doing so carries the risk you could inadvertently apply to your own employer or perhaps a colleague of your current boss who might feel inclined to spill the beans. Informational interviewing is a form of networking that can be especially effective in a time-restricted situation. This technique enjoys the same advantage of Ryan’s consulting idea; hiring managers would probably turn you down if you requested a job interview out of the blue but are more open to those seeking information about a particular position or company. Don’t risk discovery by using your current employer’s time and resources (phone, computer) for your search. Especially don’t participate in phone interviews from your current place of employment. Don’t use your company email address, for example. Be careful not to disparage your employer publicly or in job interviews. A hiring manager is likely to think, “If he/she trashes a former employer, he/she is likely to trash our company.” Continue to produce your best work, even though your heart may not be in your current job. Don’t ask your current supervisor or colleagues to serve as references. Consider creative scheduling for interviews. Scheduling interviews is a challenge for the employed. Look at breakfast and lunch slots, as well as times at the end of the work day. Consider using personal-leave time. Don’t give yourself away with what you wear. If expected interview attire is different from what you would normally wear to work, consider bringing your interview duds and changing into them offsite so you don’t stand out as an obvious job-seeker. Be truthful if confronted by your employer. If you’re found out, you’ll only dig yourself in deeper if you lie. Graciously admit the truth. A job search while employed requires some fancy footwork but can be finessed nicely with some careful planning. Brainteaser questions require you to answer an unusual or abstract question and develop a suitable answer based on logic, analysis and hypothesis. They are used to assess your capability to solve a complex problem. In many cases, you are not expected to reach a correct answer. Rather, the recruiter is more interested in your methodology and creativity. Always Anticipate that a Brainteaser Question May Be Asked. Brainteasers are increasingly likely to be asked across the spectrum of disciplines. Just as you anticipate traditional screening questions, behavioral questions, and situational questions, you can add brainteasers to the list of questions to prepare for. 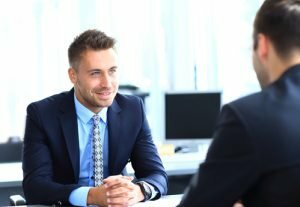 It’s possible, however, to find out more about a company’s interview formats by asking members of your network who work at the organization what interviews are like or consulting Glassdoor, a job search engine that offers a repository of job-seeker-reported questions they’ve been asked by various employers. You can also visit the Brainteaser Interview Questions portion of Glassdoor. Logic. Hiring managers want to see that interviewees can develop a logical process for responding to brainteasers. The ability to think on one’s feet. Because the real world of business often requires executives to make quick decisions in the face of unexpected situations or questions, many brainteaser questions mare designed to test this ability and are often timed, increasing the pressure. Problem solving ability and level-headedness. Employers want to know that you can quickly analyze a problem and devise a solution. Composure. Hiring managers sometimes ask brainteasers to see if the candidate will get flustered if unable to come up with the answer. Keep Your Cool. To prove that you’re a candidate who can fill this unique position, take your time and think the question through, then respond calmly. Often times there is not one perfectly correct answer. 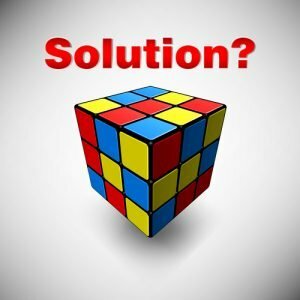 The purpose is to see someone’s thought process, their problem-solving abilities, and their reaction when faced with a question they don’t have the answer to. Think and calculate your answer out loud. This advice connects with the “logic” motivation for asking brainteaser questions. Be sure your interviewer knows your logical process by describing each step in your problem-solving approach. In the course of describing your process, you may even decide to switch directions, which is OK as long as the interviewer can follow your process. Ask for Clarification. Ask the interviewer questions about the brain teaser. An interview is a conversation between two people, not an exam, so you should not feel completely alone when answering these questions. However, do be prepared for the interviewer to say that he or she cannot give you a particular piece of information or assist you. Have a Response Planned in Case You Just Can’t Come Up with an Answer. As you try to develop your response, you may realize you will not come up with an answer in the allotted time. Identify the skills being tested by the question and explain that, while you don’t excel at brainteasers, employers have cited you for the skills targeted by the question. Perhaps even give an example of how you have demonstrated that skill. The bottom line is that, while you will probably face brainteaser questions at some point in your job search, you need not be rattled by them. Remain calm and work through the process, demonstrating your relevant skills along the way. Have a perfect resume and cover letter. The resume and cover letter should be concise and crisp, allowing the recruiter to immediately grasp your profile and expertise. Use the phone or e-mail, but sparingly. Hounding recruiters is never appropriate, but a brief follow-up phone call or two may help direct attention to your resume and credentials. Recruiter opinions are divided on this issue. Consider a short introductory phone call or voicemail message after hours to advise that your resume has been sent, and perhaps another phone call two weeks later to ensure that the recruiter received, read, and filed it. Touch base with your recruiter with a simple, “Just to let you know I’m still looking,” after a month. For a less urgent search, it’s okay to call your recruiter every 4-6 months. E-mail is also an option; you can check in monthly by email with the recruiter, just so he or she will keep you top of mind and let him or her know you are still available. Keep your information up to date. Federal employment laws require organizations (excluding very small recruiting firms with a headcount of less than 50) to maintain resumes and application for three years, so you should have few worries that yours will be tossed out. 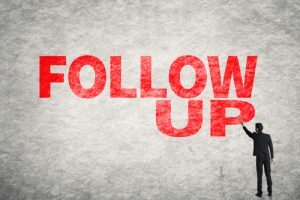 The resume may, of course, become out of date; thus, some recruiters recommend follow-up phone calls stating your desire to keep your information updated and correct. Resubmitting a resume is less important than reestablishing connection with a phone call or email to update the recruiter on your newest accomplishments. Recruiters are open to receiving an updated resume, as long as it truly reflects new information. Don’t expect acknowledgment, and don’t take it personally if you don’t get it. Recruiters receive hundreds or thousands of resumes. No response simply means, in most cases, that no open position fits your qualifications. With these tips in mind, your goal is to obtain an in-depth interview and to start a working relationship. Depending on their business model and situation, recruiters may or may not be interested in your resume; they may wish to search and contact you instead. Nevertheless, planning a recruiter-contact strategy, in which you target recruiters by identifying and contacting them to build a working relationship, is still a good idea. Retained vs. contingency. As a general rule, you will get more attention and assistance from contingency recruiters. The line between retained and contingency firms is becoming more blurred, as more firms are doing both. If you want “deep” consideration, exclusivity and confidentiality, contact retained recruiters. But don’t contact a retainer firm that your employer uses; such firms will not work with you. If you want broad reach, fast placement, and are willing to explore jobs that may not be a perfect fit, contingency firms may be your best bet. Specialty vs. general, and boutique vs. large firms. If you’re looking for a firm with strong contacts in the industry or profession of your choice, a specialty firm is an obvious choice. But the flip side is that while specialists have excellent contacts in the industry, they are less likely to open new doors for you in other industries. Also keep in mind that many generalist firms actually operate like a department store of specialist or boutique firms. So, by working with a generalist, you may enjoy the advantages of specialization along with the broader set of possibilities that the generalist offers. Boutique firms will tend to get you better matches and work more closely with you to achieve your goals, but your credentials must be right to get their attention. Many recruiters recommend working with a mix of specialists and generalists. Functional specialists vs. industry specialists. 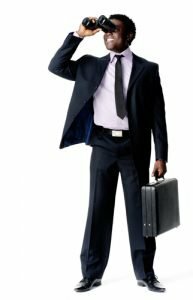 Is it better to work with a functional specialist–that is, a recruiter working with your profession (accounting, finance, marketing, IT, for example) or an industry specialist (aerospace, computers, food, financial services)? The conventional wisdom is that both dimensions are relevant, and working with all recruiting firms with which your credentials fit makes sense. Individual recruiters vs. recruiting firms. As you look through recruiter-selection resources, such as online directories of recruiters, you may see recruiting firms and the names of individual recruiters within those firms. If you have the credentials and are looking for placement in the specialty–publishing or logistics, for example–contacting the individual may represent the wisest course. Keep in mind that while these special recruiters may look out for you and develop a personal relationship with you, you may never get into a database. If that specialty individual has no opening at the time, he or she may not bother to put you into the system for others in the firm. But to get a first chance at an available opportunity, you’re in better shape to go to the individual recruiter directly. If you’re trying to put yourself “on the shelf” for upcoming opportunities, you may be better off sending your material to the firm. Keep in mind also that the firm is always there–while individuals come and go. Geography. Obviously if you have specific geographic preferences or objectives, dealing with recruiters in that area is the way to go. Working with recruiters in the particular locale of desired positions also makes sense. 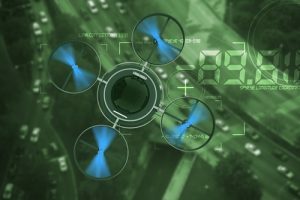 Technology executives or professionals would gravitate toward recruiters in Silicon Valley or other high-tech locales; aerospace professionals toward Seattle, Southern California, or certain Midwestern cities. A composite broad-and-narrow approach often works best. Some recruiters suggest contacting one recruiter in each region–that way you get broader coverage while maintaining an exclusive approach to working in each region. But keep in mind that most recruiters, though located in a region, work nationally. They have positions available from other regions. Branch vs. central office. For large recruiting firms with branch offices, do you send resumes to each branch office or to a central headquarters location? Recruiters recommend sending to branch offices to get faster visibility with recruiters working actual positions. Those recruiters may not search central databases if they feel the right candidates are available locally. But the downside is that branch-office recruiters may not bother to put you in the central database. Again, a blended strategy may be best. Recruiter professionalism. Obviously, you want to select recruiters with a high degree of respect and professionalism in the business, those who attract the best clients and positions and give minimal surprises. 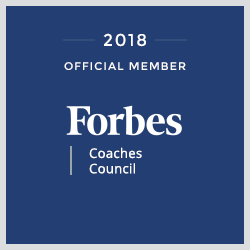 Although ascertaining professionalism, particularly of individuals, is difficult, membership in Association of Executive Search and Leadership Consultants (AESC) or International Association of Corporate and Professional Recruitment (IACPR) is a positive indicator. Word of mouth, previous placements, and time in the business all are factors. Once they establish contact, many candidates interview their recruiters to confirm this important criterion. Ready to start searching? The i-recruit database (https://i-recruit.com/) is a tried-and-true resource. Contact. Contact selected recruiters by sending a resume and cover letter. Follow up. Keep in touch with most promising recruiters, nurture the working relationship. 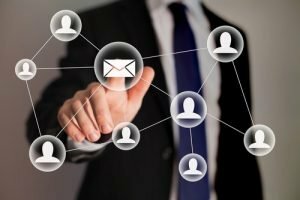 The decision to do a mass versus a targeted mailing depends in part on your situation and what you’re trying to accomplish. Combining a mass search with a targeted search can be highly effective. The targeted search–requiring networking and outreach to make contact and establish mutual interest before blasting off a resume–is much more time consuming but typically yields better results. Sending out resumes broadly can generate competition and a sense of urgency among recruiters. 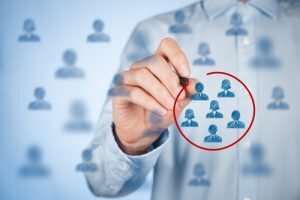 But some recruiters say that it doesn’t take mass resume distribution to create competition: Using no more than three recruiters to help in a search can still create the sense of competition without getting you labeled as overexposed or high risk. Candidates who are loyal to a given recruiter will typically get that recruiter’s best efforts. Good qualifications will also generate competition and urgency. When a candidate’s resume reflects a solid work history and highly sought-after skills, any good recruiter should definitely have a sense of urgency to contact that particular candidate and begin to develop a plan to help them find their next position. If your skills and credentials, level, or geographic preferences are specialized, your search, of course, will be narrower. Those in a niche industry will want to consider selectivity with recruiters. You want a recruiter who truly understands your needs from a career perspective as well as his or her clients’ needs. The more specialized a candidate is in his or her particular job, the more a specialized recruiter can help. Most recruiters recommend a narrow search. Good recruiters will decline to work with a candidate who is shop-worn or over-represented. One recruiter advises candidates to “work with your own network and a maximum of 2-3 recruiters that you trust in your chosen industry. Working with many recruiters may saturate your candidacy in the marketplace. A strategic and calculated approach is the most efficient and successful method for securing your dream job in a timely expeditious fashion. Whether you choose to search widely or narrowly, communication is key; if you deal with many recruiters, you must communicate with them about submittals and interviews. A candidate can make himself or herself look bad quickly if multiple recruiters are submitting them for positions and they are not communicating and controlling their own job search. Confidentiality. The more you circulate your resume, the more your desire to look for a new job becomes known. Networks work, and the “buzz” spreads. Some recruiters are more careful than others about to which clients they send resumes. It happens–a candidate’s name shows up on a list at his or her own firm! Working with one recruiting firm closely and carefully is the best way to cover your tracks. Urgency. If you need something to happen fast–either because of your personal situation or a situation at your employer–a broader search may yield faster results. If you anticipate a downturn in your company or your industry and want to hit the exit before others, casting a broad net probably won’t hurt. Recruiters also know about these downturns–and your early response shows your awareness of the situation and enhances your candidacy. However, even in launching a wide search, don’t waste time and energy with recruiters that specialize in industries that aren’t yours. Active vs. passive. Activity relates both to urgency and confidentiality. If you wish to be active in your search, pursuing all possibilities, a wider search is the ticket. If you prefer a passive approach in which you simply wish recruiters to inform you of new opportunities when they come up, select one recruiter or perhaps a handful. A wide search may bring more interviews and discussions than you can handle while still functioning in a current position. Your value in the market. Don’t commoditize yourself. Launching a broad campaign can make you appear as a commodity. The law of diminishing returns sets in; sending resumes to twice as many recruiters probably results in only 5 percent more interviews. Many recruiters recommend a more personal approach. You tend to appear more valuable if you position yourself as the one sought rather than the seeker, one who values the contact and relationship with a recruiter or limited set of recruiters, and one who wants only that special, coveted position. Once you select your target recruiters, you must build a campaign to contact them. There is no one right way to contact recruiters; each is different, and each situation is different. Having the right materials, using the right methods, having the right expectations, and effectively maintaining the relationship are all important. Use the phone or e-mail, but sparingly. Hounding recruiters is never appropriate, but a brief follow-up phone call or two may help direct attention to your resume and credentials. Recruiter opinions are divided on this issue. Consider a short introductory phone call or voicemail message after hours to advise that your resume has been sent, and perhaps another phone call two weeks later to ensure that the recruiter received, read, and filed it. Touch base with your recruiter with a simple, “Just to let you know I’m still looking,” after a month. For a less urgent search, it’s OK to call your recruiter every 4-6 months. E-mail is also an option; you can check in monthly by email with the recruiter, just so he or she will keep you top of mind and let him or her know you are still available. Keep your information up-to-date. Federal employment laws require organizations (excluding very small recruiting firms with a headcount of less than 50) to maintain resumes and application for three years, so you should have few worries that yours will be tossed out. The resume may, of course, become out of date; thus, some recruiters recommend follow-up phone calls stating your desire to keep your information updated and correct. Resubmitting a resume is less important than reestablishing connection with a phone call or email to update the recruiter on your newest accomplishments. Recruiters are open to receiving an updated resume, as long as it truly reflects new information. Don’t expect acknowledgment, and don’t take it personally if you don’t get it. Recruiters receive hundreds–thousands–of resumes. No response simply means, in most cases, that no open position fits your qualifications.